Second most spoken language in the world, Hindi has been the focus of attention for a while already. 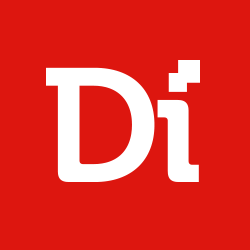 Soon after Oxford University Press included Hindi into its Global Languages initiative, it assigned Digiteum Dictionaries Conversion team to apply technology efforts to converse Hindi language data and transfer it online. Today, online Hindi Dictionary is in wide use. 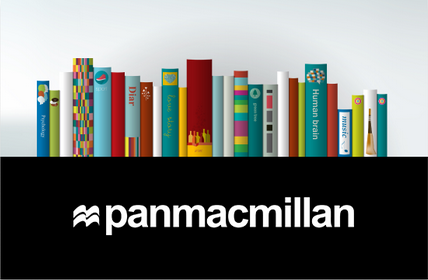 It's enough to mention Microsoft, Amazon, Google that apply massive linguistic data accumulated by OUP. Later, OUP decided to further improve online Hindi Dictionary and encourage visitors to countribute to Hindi language storage. Thus, Digiteum has built a chatbot embedded to Oxford’s online Hindi Dictionary homepage. 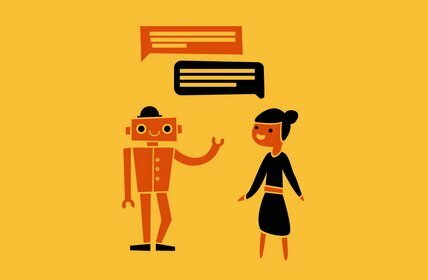 Hindi chatbot uses gamification to attract language learners and scholars to the website and help them learn Hindi online and enlarge their vocabulary in a simple chat-like manner. At the same time, it encourages users to contribute to Hindi language storage. 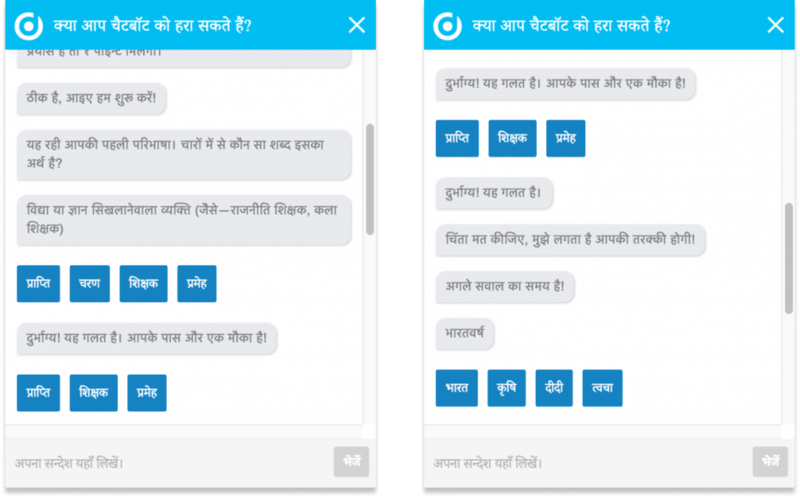 In other words, chatbot’s conversational interface is a user magnet for Hindi Dictionary website. Hindi Bot pops up as a plugin to offer visitors guess-a-word game. Integrated with Oxford Dictionaries API, this chatbot offers a variety of word definitions provided by Oxford. The game entertains and helps users learn Hindi online, encourages them to interact with the website and leave their feedback. Just like that, one Hindi Bot becomes a marketing tool that brings more quality traffic to the website. The back-end of Hindi Bot is the CMS that manages chatbot conversation logics, output data transferred via API from Oxford Dictionaries, and processes user input. Thanks to its rich storage of scenarios, the system can handle multiple user requests and keep up with the dialogs providing logical feedback. It uses algorithms to pick up content from the user’s query, decode it, and respond with a relevant answer. The front-end of the chatbot is simple and light. Its conversation interface is reusable and can be adjusted to multiple platforms: Facebook, Telegram, Slack, SMS, Kik, Skype, etc. Moreover, it has potential to scale up as an application for B2B and B2C communication for various purposes. 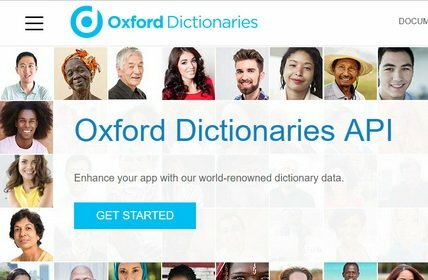 Integration with Oxford Dictionaries lexical data storage. 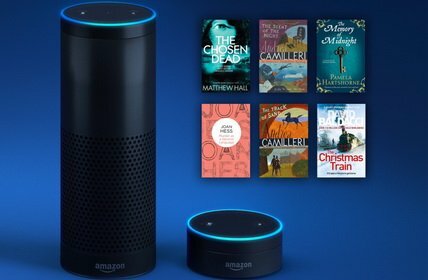 Simple human-like conversational interface with rich dialog scenarios. Multilanguage support with broad application potential across platforms and industries. Customer engagement through gamification and edutainment. 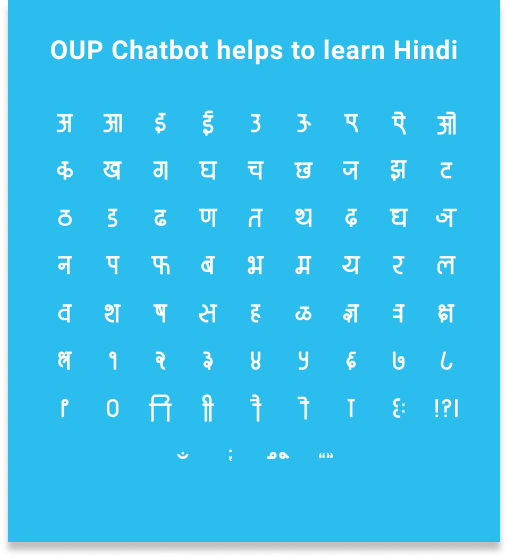 Marketing tool that encourages users to learn Hindi online and contribute to Hindi Dictionaries, a part of Oxford's Global Languages initiative. Customizable solution with infinite opportunities if applied in other service industries, both B2B and B2C.